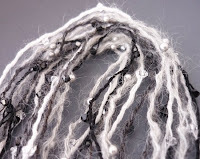 Our assignment this time around for the Artbeads.com blogging challenge, was the theme “Winter Enchantment” and I found some nice items to try – and boy are they cool! 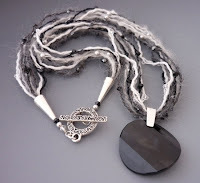 This project, by the way, is also doubling as my YOJP 2011 Week 9 Entry this week – with the theme being “Windswept”. 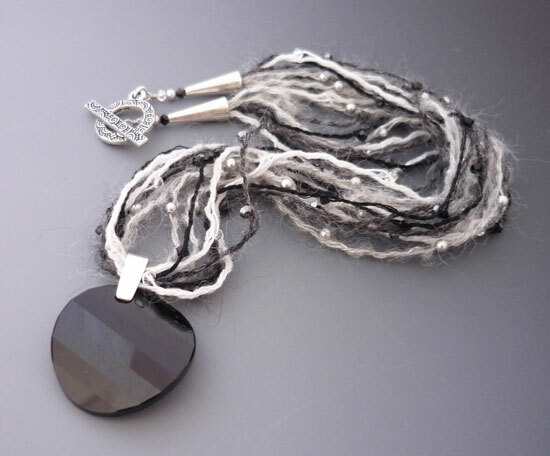 • Swarovski Crystal Hematite Mohair Yarn with 3mm hematite beads. These were really fun to work with. All were soft, and the mohair and cashmere ones are really ‘fuzzy’ and remind me of nice, warm winter sweaters! 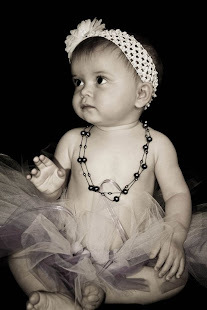 They would be great to make little “Barbie” necklaces with. 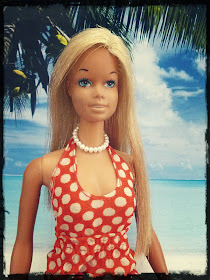 Yes, I even make jewelry for Barbie once in a while….I’m such a dork! I really am a dork, because I forgot to snap my ‘before’ pics when I take all my goodies out of the bag and you get to see everything lined up before I start creating – sorry about that. 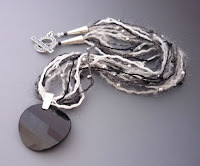 For my necklace focal bead I chose a 28mm Jet Swarovski Crystal Twist Pendant – boy does this have some heft to it! LOVE IT! And, the toggle I chose - since I was doubling this for my windswept theme for Week 9 of YOJP 2011 – was this spiral (swirly wind!) 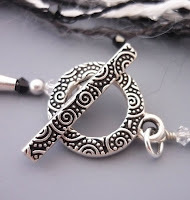 Tierracast Spiral Toggle Clasp. I like the Tierracast toggle design and since it’s light weight (it’s silver plated not true sterling) it feels nice on the back of your next and doesn’t press down on your neck bones in the back. I know that sounds weird,…but trust me,…it’s important! 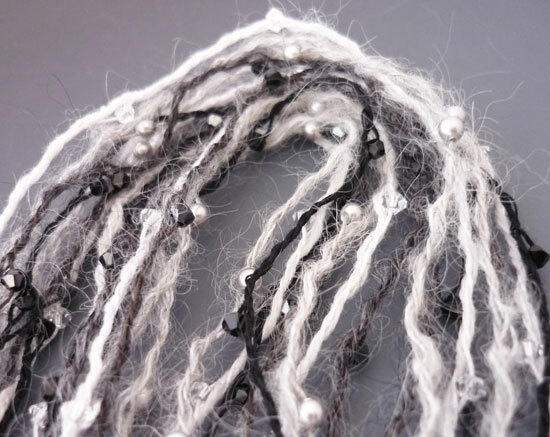 I gathered up these lovely little, fabulously fuzzy yarns with their tiny little beads and wire wrapped the ends, sliding them into some plain sterling silver cones that I purchased from my friends over at BeadWorld here in Glendale. 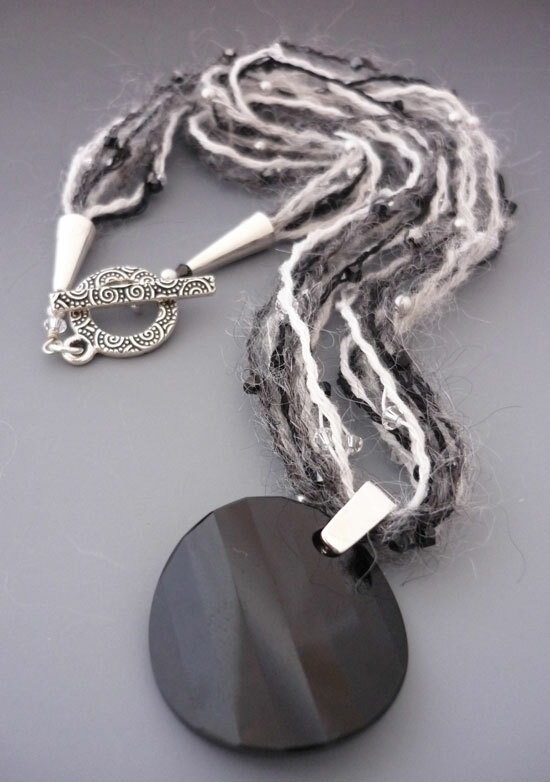 I also got the nice sterling silver bail that’s holding the Swarovski Crystal pendant on at BeadWorld as well! I added the pendant and the toggle clasp to the layers of Swarovski yarns and ‘Ta-da’ – it’s a “Winter Enchantment, Windswept Dream!” (it’s more of a little winter enchantment, fluffy, fuzzy looking type of dream necklace than any windswept necklace, but whatcha gonna do!?!) But, it still looks rather ‘Winter-ish’, don’t you think? I’m really thankful to the folks over at Artbeads.com. I’ve been ordering from them for over 5 or 6 years now and their items are really great, shipping is fast, and their prices are some of the best around. You definitely can’t beat that these days – that’s for sure! 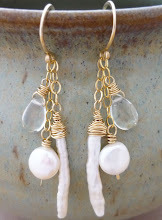 Peace, Love, Winter Enchantment and Windswept Dreams of Spring Coming Soon!! 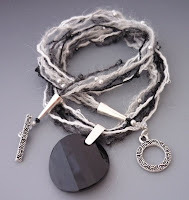 This is beautiful, love the way you have used the yarn, I tried it and did not have such good results. 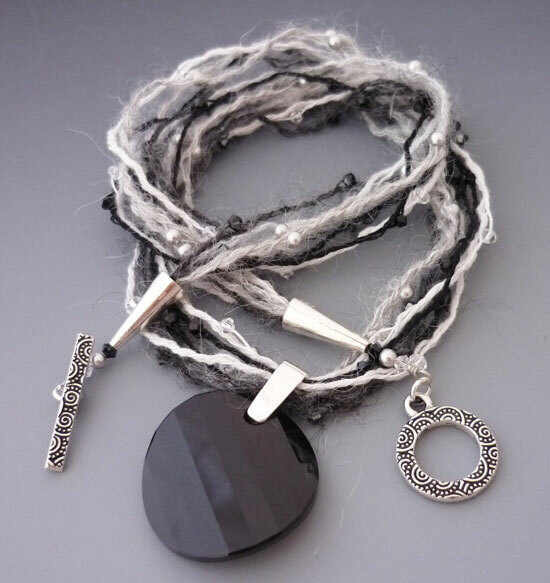 Love the multistrand look with the yarn. Great design.